Hi, welcome to our beekeeping podcast, we chat about keeping bees and looking after our garden. We do this by discussing news, tips, tricks and interviewing beekeepers and gardeners from around the world. Join the Beekeeping podcasts hosts Gary and Margaret for a audio show about beekeeping, Gardening and Life in the hills of West Auckland in New Zealand. Please check out our How To Subscribe. Or Click on the episode page and listen on the page. Scroll down or search for older shows in the library. 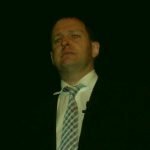 Ministry for Primary Industries Paul Bolger – Senior Policy Analyst spoke about funding avenues and government industry agreements with proposals for industry surveillance. In terms of the industry funding, Paul explained that government more likely to support those industries who match funding $ for $. 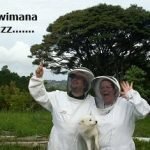 The third Beekeeping Podcast podcast from the team at Kiwimana. We discuss Hot Barbecue Sauce, 65th Anniversaries and Save the Bee stop the fee. The fifth podcast from the team at Kiwimana HQ. 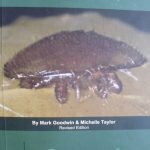 This is a speech from Dr Mark Goodwin about “Varroa Resistance”. 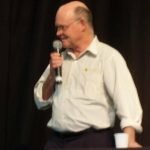 This podcast is a recording of two of the speakers at Saturdays Auckland bee club’s 65th Anniversary. The speakers were Ted Legget and Allan Holland. Welcome to the first Kiwimana buzz podcast.